The motion capture system can locate multiple objects in the space at rates exceeding 200 frames per second. While this may seem extremely fast, the objects in the space can move at speeds in excess of 10 m/s, resulting in displacements of over 5 cm between successive snapshots. This information is fused with other data and models of the system dynamics to predict the state of the objects into the future. 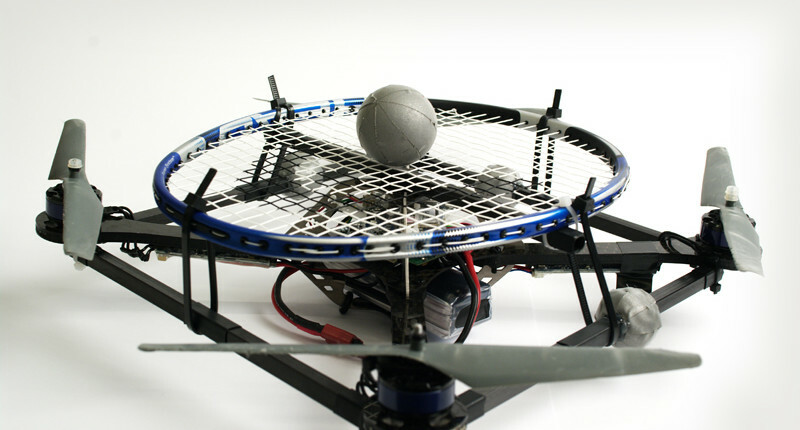 The system uses this knowledge to determine what commands the vehicles should execute next to achieve their desired behavior, such as performing high-speed flips, balancing objects, building structures, or engaging in a game of paddle-ball. Then, via wireless links, the system sends the commands to the vehicles, which execute them with the aid of on-board computers and sensors such as rate gyros and accelerometers. 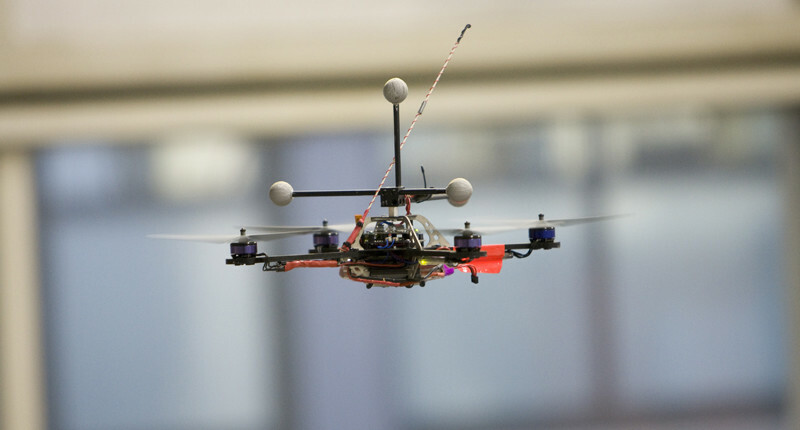 Although various objects can fly in the FMA, the machine of choice is the quadrocopter due to its agility, its mechanical simplicity and robustness, and its ability to hover. 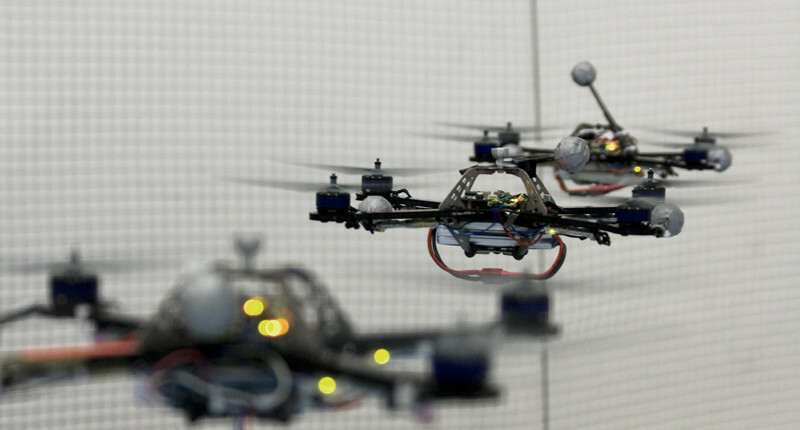 Furthermore, the quadrocopter is a great platform for research in adaptation and learning: it has well understood, low order first-principle models near hover, but is difficult to characterize when performing high-speed maneuvers due to complex aerodynamic effects. We cope with the difficult to model effects with algorithms that use first-principle models to roughly determine what a vehicle should do to perform a given task, and then learn and adapt based on flight data.